Relax and enjoy a day of fishing aboard one of the fastest US Coast Guard approved boats in the area. Captain Chip and Captain Shane have over 60 years combined fishing experience along the coast of the Carolinas. 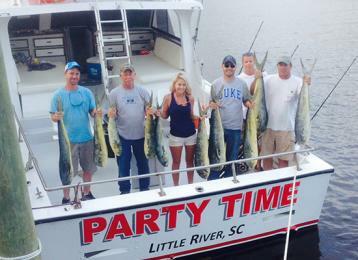 We offer inshore, offshore and Gulfstream trips. We are family owned and operated and our charters run year round.